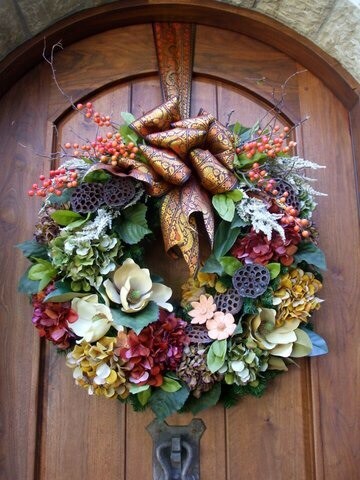 How is wreath hung? - We have a similarly rounded, oversized, thick front door. Haven't come up with a way to hang wreath?